Arkansas requires well-trained corrections professionals that show dedication to public, staff and inmate safety by using professional correctional practices and operational procedures. Officers will be ready to engage in proven programming opportunities for inmates that allow opportunities for reform every day. Such individuals are required at the local, state, and federal levels throughout the entire state as the Bureau of Labor Statistics forecasts a steady national growth rate of 5% over the next decade. Currently the state employs 4,725 front-line correctional officers amidst 31 facilities. Facilities range in security measures from Arkansas' central office, to facilities like the state's Delta Regional Unit and East Arkansas Regional Unit, to the Maximum Security Unit and facilities for different prison populations like J. Aaron Hawkins Sr. Center and the state's Boot Camp Program. These facilities are largely state-owned. BLS predicts steady growth over the next decade as prison facilities and programs change to meet inmate populations over time and so state correctional officers have great opportunities for advancement and professional development. Read further to discover more information about getting hired for corrections in the state of Arkansas. Southern Arkansas University Tech ranks first in our latest rankings with 185 students completing programs in law enforcement administration and criminal justice out of a total a thousand students. Black River Technical College ranks 2nd in our rankings with 100 students completing programs in criminal justice and law enforcement administration out of a total 1,380 students from the 2012-2013 school year. East Arkansas Community College ranks 3rd in our rankings with thirty-six students graduating from programs in criminal justice, criminal justice, and law enforcement administration out of a total 724 students from the 2012-2013 school year. University of Arkansas at Pine Bluff ranks fourth in our latest rankings with forty-two students completing programs in criminal justice and law enforcement administration out of a total 858 students. South Arkansas Community College ranks 5th in our latest rankings with 67 students graduating from programs in criminal justice and law enforcement administration out of a total a thousand graduates. College of the Ouachitas ranks 6th in our rankings with 49 students graduating from programs in corrections and law enforcement administration out of a total 1,216 students in the 2012-2013 school year. Arkansas Baptist College ranks 7th in our rankings with 9 students graduating from programs in corrections out of a total 246 students in the 2012-2013 school year. Arkansas State University-Beebe ranks eighth in our rankings with eighty-six students graduating from programs in criminal justice, criminal justice, and law enforcement administration out of a total two thousand students in the 2012-2013 school year. NorthWest Arkansas Community College ranks 9th in our rankings with seventy-three students completing programs in criminal justice and law enforcement administration out of a total 2,490 graduates from the 2012-2013 school year. University of Arkansas at Little Rock ranks tenth in our latest rankings with 138 students completing programs in criminal justice and criminal justice out of a total 4,762 students from the 2012-2013 school year. The Department of Corrections in Arkansas has an ongoing need for recruits who are motivated to serve the public good and are eager for advancement in the challenging field of prison corrections. Due to the serious and challenging nature of the positions, as well as the physical, mental and ethical requirements of these positions, all applicants must meet the state's requirements for employment in order to be successful in the hiring process. So to ensure that candidates are an appropriate fit for the corrections environment. Upon completion, candidates may be contacted directly for placement or placed in a hiring pool prior to starting paid training through the Department of Corrections. The training portion for new-hires focuses on practical strategies for the role, as well as skillset development and familiarization with various aspects of the role. The state Department of Corrections in Arkansas is encouraged by the growth of citizens who are pursuing careers in state service, namely as front-line correctional officers. 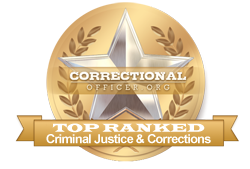 At this time, the median income for correctional officers throughout Arkansas is lower at $32,100 than the national median income at $39,800, however according to occupational data for the state of Arkansas, available at http://www.careerinfonet.org/occ_rep.asp?next=occ_rep&Level=&optstatus=011000000&jobfam=33&id=1&nodeid=2&soccode=333012&menuMode=&stfips=05&x=62&y=4 and published by CareerInfoNet.org state trends are predicted to experience a 9% growth curve from now until 2022 as compared to the national growth rate of 5%. This predicted growth pattern translates into 200 new openings and existing vacancies annually. The table below lists career information collected by the Bureau of Labor Statistics for correctional officers in Arkansas. The table is sorted by total employment, with the largest metropolitan areas listed first.